Summer is here, and after the careless and lazy winter regime, it's time to head out for the beaches and lakes for a refreshing swim and some fun. Everyone’s getting their swimsuits ready, but how many fit into them is another story. If you do, you are in shape so no problem. 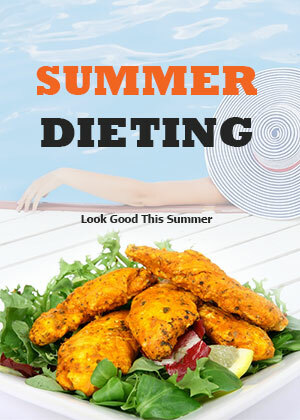 However, when you just can't get your swimsuit on, you will need to have a great diet plan at hand for this summer. It’s merely the need for exercise and discipline in what you eat that can get your body back into shape. There is no need to purchase any diet plan, simply make one for yourself and follow it sincerely.